Romelu Lukaku Bolingoli was born 13th May 1993 in Antwerp Belgium, to Congolese parents. His father Roger was also a professional player and won caps for at international level for Zaire, Roger played most of his career for mid-table Belgian First Division sides and continued playing Semi-Pro until the age of 40. Romelu brother Jordan, who just 14 months his junior, plays for Lazio and progressed through the same Anderlecht youth system as his older brother. Lastly, his cousin Boli Bolingoli-Mbombo plays for Austria Vienna, rounding out a professional playing family, to rival that of the Redknapp/Lampard household. Lukaku would start learning the family trade aged five with local side Rupel Boom, he’d spend four years at the club, before being scouted by Belgian Pro-League Academy Lierse. Romelu would score an incredible 121 goals in just two years, Anderlecht would come calling and he amongst 12 other Lierse youth prospect made the jump in a deal that financed Lierse post-relegation from the Belgian top flight. Three years in the youth teams at Anderlecht yielded similar goalscoring prosperity. 131 Goals in 93 games prior to signing his first professional contract aged 16, making his competitive debut just 11 days later in a Championship Playoff game against Standard Liege. Despite losing the game 1-0, Lukaku would make regular appearances for the first team over the next two seasons. His debut goal would be the first of 15 scored that year, resulting in the Golden Boot and Pro-League title, all before his 17th Birthday. His debut would also include a run to the last 16 of The Europa League, a campaign in which he’d score four times. Romelu second season would also prove to be much like the first, with one exception, 20 goals in all competitions were not enough to secure the league title, despite finishing top of the table. 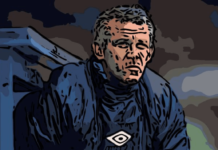 The Belgium Pro-League set up meant that despite topping the league, Anderlecht lost the title in the playoff round which decides the European Qualifiers and eventual League Title winners. Lukaku would receive his first senior international cap in the February of 2010, 3 months prior to his 18th Birthday, though he’d have to wait until November to bag his first goal for Belgium. Lukaku first fell in love with Chelsea aged 16, a documentary series followed him and his class of Anderlecht Youth Teammates on a trip to Stanford Bridge in 2009. As Lukaku looked out upon the Stamford Bridge turf, alone, long after his teammates had gone inside, he would be beckoned in by his teacher. “Dream?” Lukaku responded, almost as if to suggest the very notion that he wouldn’t one day walk down the players’ tunnel and onto the pitch was absurd. And see we would, well sort of. Lukaku would transfer to Chelsea in the August of 2011 for a fee of £10m (rising to £17m with add-ons) signing a five-year contract. He would make his debut as an 83rd Minute substitute replacing £50m man Fernando Torres, this would be one of just fifteen appearances for Chelsea; ever. Lukaku would frustratingly spend a majority of the 2011/12 Season playing in the reserves, despite the first team strike force being made up of a 34-year-old Didier Drogba, Daniel Sturridge and Fernando Torres who scored just 27 Goals between them. Romelu was so frustrated with life at Chelsea, come the Champions League Final and eventual Trophy presentation, he refused to handle the trophy, as he felt like he had not done anything to deserve being called a winner. 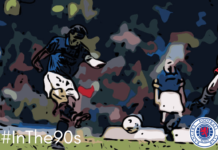 It’s hard to really pinpoint the reason why then boss Andres Villa Boas and subsequent caretaker Roberto Di Matteo showed such little faith, especially at a time when the strikers in the first team were far from prolific. The season may well have ended in FA Cup and Champions League success, but 6th place in The Premier League was far from what had become expected at Stamford Bridge. The start of the 2012/13 season brought renewed optimism to Stamford Bridge, a double winning head coach at the helm and beating Manchester United to the signing of both highly sought after talents in Eden Hazard from Lille and Brazillian Oscar from Internacional. That optimism extended also to Lukaku, with Kalu and Drogba leaving the club in the summer, it left just Torres and Sturridge ahead of him the pecking order. Both were unable to outscore Frank Lampard in the previous year, it stood to reason that Chelsea would at least need a back up if either were to be injured. The decision was, however, to send Lukaku out on loan. His initial destination looked set to be just a few miles down the road at Fulham, but it would be West Brom who give Lukaku a home for the year, and what a year it would be. Romelu would make a total 20 starts and a further 15 as a substitute, one of those games I remember vividly. I would present on a freezing January night at The Madjeski Stadium and witness Lukaku power and ability firsthand. I remember thinking I’d never seen a teenager live and in the flesh, with as much ability as what Lukaku had displayed that evening, he would put WBA 2-0 ahead with his first ever Premier League brace, running Adrian Mariappa ragged, he could have had a hat-trick but for the woodwork. Thankfully for me, I was also able to witness a nine-minute comeback, with Reading winning the game 3-2. Despite this West Brom would finish 8th, their highest ever finish in The Premier League and Lukaku would end the campaign with 17 Goals, ironically more than any other Chelsea player that year. 2013/14 Season would again see Lukaku out on Loan, this time to Everton, again another baffling decision by Chelsea, this time managed by Jose Mourinho in his second stint at the club. Two years Romelu had been at the club by this point, hardly making any appearances in his first year despite a misfiring first team and outscoring his teammates in a year on loan to West Brom. The season would get off to a flier, scoring the winner against West Ham as a substitute, he’d clash heads when challenging with the defender and had to be told he’d scored the winner when he came round. Two goals against Newcastle resulted in another 3-2 win and his impressive start continued, opening the scoring in a 3-0 win over Villa. His highlight of the season would be a brace in the Merseyside derby, with the game ending 3-3, Lukaku would go on to say “It’s the best experience playing Football I’ve had to date”. Injury prevented Romelu from playing through February, but his return in March saw him continue where he left off again scoring the winner against West Ham as a late substitute. The season would end with Lukaku scoring 15 goals and supplying 6 assists, helping Everton to a fifth-place finish and a club record 72pts. Everton would make the move for Romelu permanent in the summer of 2014 for a club record fee of £28m, a move that would enhance Lukakus career and further his claim toward being a future Ballon d’Or winner. In his three years at Everton Lukaku scored 53 Goals in the Premier League and broke records previously set by Bob Latchford and Dixie Dean, scoring 20 plus goals in all competitions three consecutive seasons and scoring in 9 consecutive league games respectively. His final season at Everton saw him turn down a £140,000 5 year extension amidst transfer speculation, but it didn’t deter him from finding the back of the net 25 times and being shortlisted for both PFA Player and Young Player of The Season. Transfer speculation was justified when Manchester United announced the signing of Lukaku for an initial £75m rising to £90m with add-ons. He didn’t have to wait long for his first United goal either, coming in the UEFA Super Cup defeat to Real Madrid. Five days later in The Premier League Lukaku would score twice and this time the result was more favourable as United triumphed over West Ham 4-0. Romelu start to life in Manchester continued to be just as favourable, Lukaku would score ten goals in his first nine games, breaking Sir Bobby Charlton’s record of nine goals in the first nine games for United. To date Lukaku has 21 goals in The Premier League and Champions League, he scored his 200th Professional goal against Sevilla in the last 16 of the latter, with his 100th goal in the former following 18 days later, the fifth youngest player to achieve the feat. 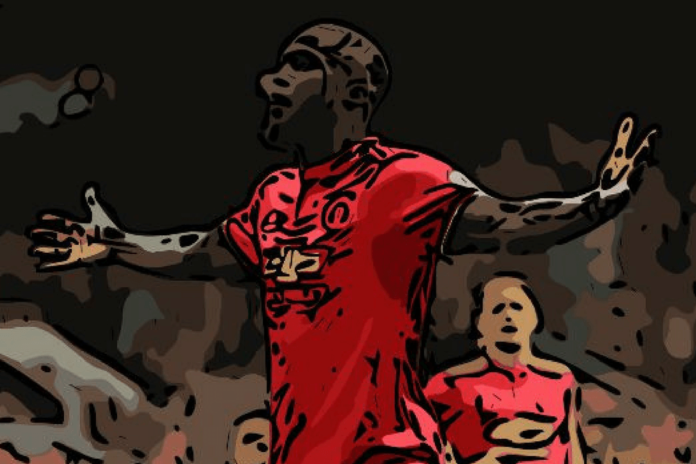 Romelu Lukaku certainly has the makings of a Ballon d’Or winning striker, capable of scoring a plethora of goals of all types, game-changing link-up play and a desire to succeed rarely seen in players so young. Now with the benefit of almost a decade of professional success, you’d think the stage would be set to almost assume the role of the worlds best player, after Ronaldo and Messi? You’d be wrong, the truth is Lukaku for all his great goalscoring statistics is wildly inconsistent, he may well end the campaigns with 20 or more goals, but very often will go several weeks without scoring before burying back-to-back hat-tricks. Aside from the lack of Winners Medals, which I’m certain will come for Romelu, his issues with consistency will continue to discredit any claim for a Ballon d’Or. Someone once said that “Form is temporary and class is permanent” if it’s one thing to say that Lukaku is inconsistent, there are not many people who would doubt his class. Football-mad 30-year-old man-child. Reading FC fan, but it's not uncommon to find me at several games around the country, or Europe for that matter. I'm only in it for the Booze, because it doesn't pay well. How NOT To ‘Do’ An Old Firm Derby!